A Dutch investment firm has expanded its West Coast presence with a $154 million deal for two office buildings on Wilshire Boulevard. Amsterdam-based Breevest paid $107.5 million for 8942 Wilshire Boulevard, and $46.5 million for 4525 Wilshire Boulevard, records show. The deal closed last week. 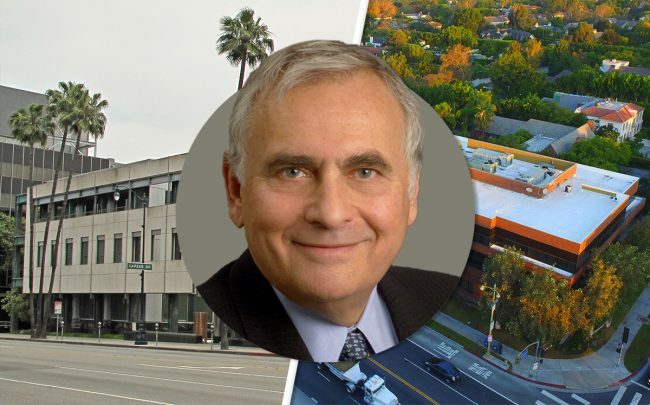 The seller was a joint venture of El Segundo-based Ocean West Capital Partners and an entity tied to Chicago-based Walton Street Capital. Breevast confirmed the sale in a release Monday but did not provide the sellers. The company secured separate debt financing deals for the two properties. Aareal Capital Corporation provided $64 million for the 8942 Wilshire property, an 83,000-square-foot building leased entirely by Paradigm Talent Agency. Ocean West and Walton bought the property for $40.5 million in 2014. Zions Bancorporation provided a $24.4 million acquisition loan for 4525 Wilshire Boulevard. The 76,000-square-foot office building was 90 percent leased when Ocean West and Walton Street purchased it in 2016 for $22.7 million. Breevast’s portfolio is heavy on European properties, but it’s made some moves in the Western U.S. The firm has developed in Rancho Cucamonga in the San Gabriel Mountains, San Francisco and Reno, Nevada over the last two decades. It sold a spec office development in San Francisco in January to Kilroy Realty Corporation for $146 million, according to the The Registry, a real estate news site. That property is leased to cloud storage company Dropbox. The firm also developed a 16,000-square-foot spec home in Beverly Hills in 2013 that it sold during construction.